When Revealed: Search the encounter deck, discard pile, and victory display for Helm's Gate and add it to the staging area. Shuffle the encounter deck. 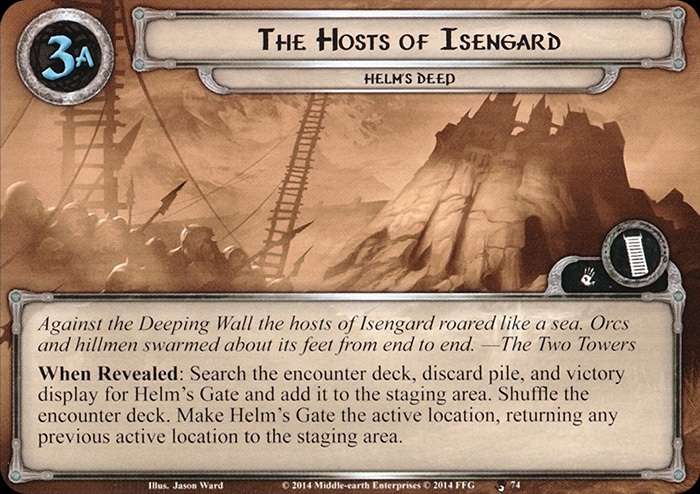 Make Helm's Gate the active location, returning any previous active location to the staging area. 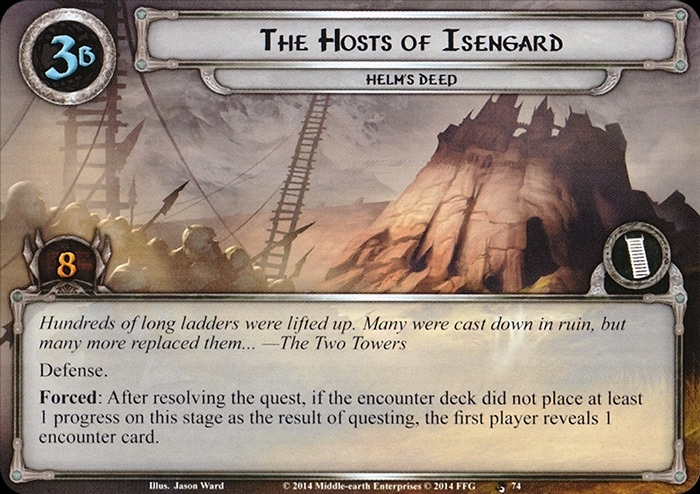 Forced: After resolving the quest, if the encounter deck did not place at least 1 progress on this stage as the result of questing, the first player reveals 1 encounter card.